WI and MN are home to nearly 20,000 fishable lakes, most of which are convenient to access. As such, our rivers and streams are mostly overlooked and underutilized. Also, many of the most desirable warm water gamefish species reproduce extremely well in rivers. 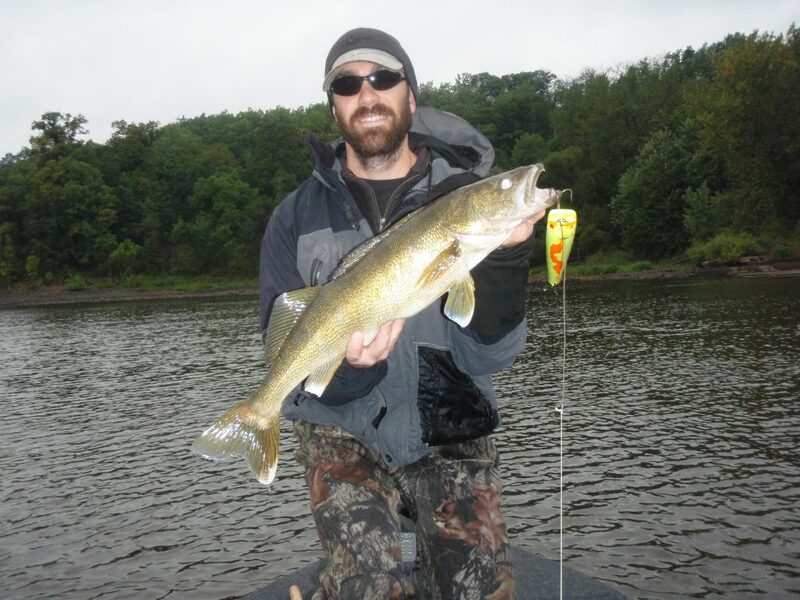 Some, such as walleyes, have more consistent successful year classes in rivers than in lakes. Some cold water species such as brown trout can only reproduce in rivers and streams. Most of the rivers and streams in WI and MN are fish factories. Combine that with the fact that they see comparatively little fishing pressure, and the result is excellent fishing just waiting to be taken advantage of. Rivers are also a great source of gamefish action, because under stable water conditions, fish are often much more willing to strike a wider array of presentations than the same species living in lakes. 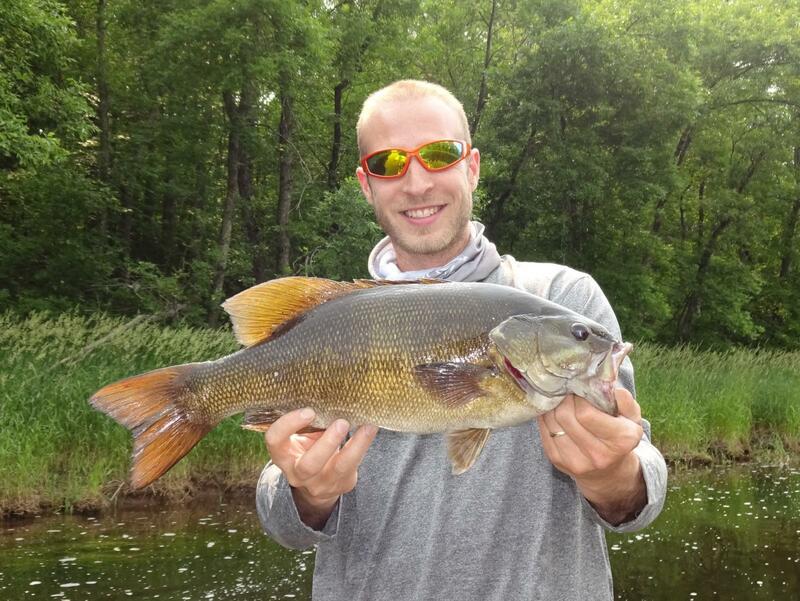 For instance, big smallmouth bass are usually very wary and challenging to catch in lakes. In many rivers though, big smallmouth bass will crush topwater lures with reckless abandon all day long all summer long. 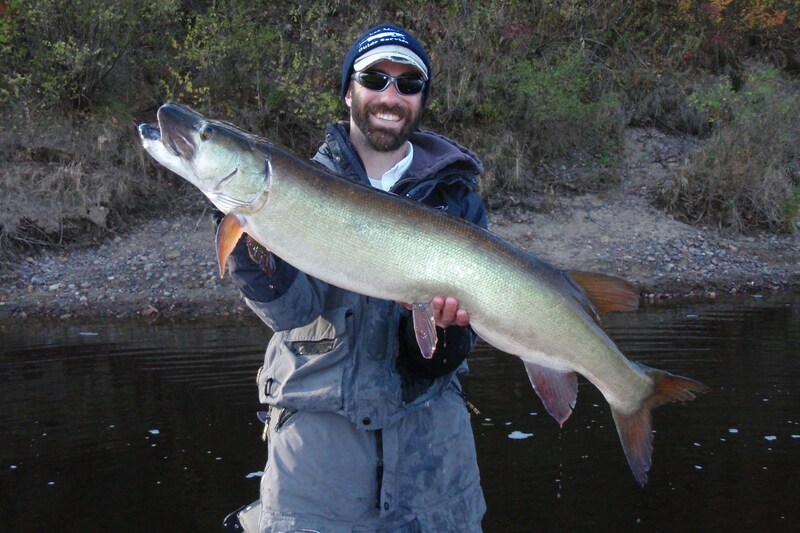 During fall in some rivers, it becomes difficult to fish muskies because the huge smallies won’t leave the musky lures alone. In many cases, river fish are a different breed altogether. Anyone who has not experienced excellent river fishing owes it to themselves to see what it is all about. Honest Musky Guide Service (HMGS) is prepared to successfully guide its clients on all rivers and streams from the largest to smallest for all gamefish species; but specializing in musky, smallmouth bass, walleye, lake sturgeon, catfish, brown trout, and brook trout. Multispecies trips are available, and it is an enjoyable challenge to see how many species a client can catch in one trip. A slam is 3 species, a grand slam is 4 species, a super slam is 5 species; and all are available throughout the open water season.